The Santa Rita Reserva Sauvignon Blanc holds a pale straw like complexion, with an aroma mixed of citrus fruits, vanilla and light spice. On the palate, the acid levels are acutely prominent and may disappoint if you like your acidity tempered. This Sauvignon Blanc holds a medium to long finish and when chilled, can be quite refreshing. We would recommend pairing this wine with either a goat cheese or white fish. 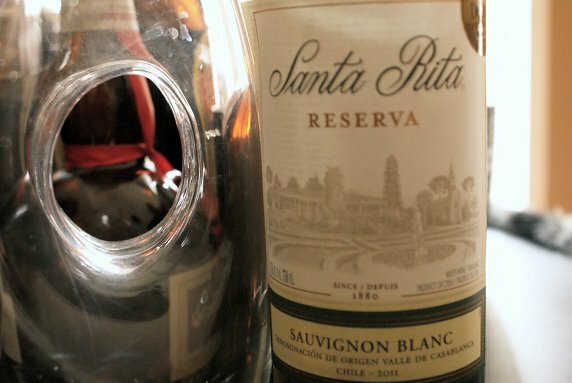 One thing to remember with the Santa Rita Reserva Sauvignon Blanc is that although it holds the seal ‘reserva’ on the bottle, it has no legal bearing on Chilean wine making, meaning that vintners can use the term as they see fit.